The whole trip was a surprise. 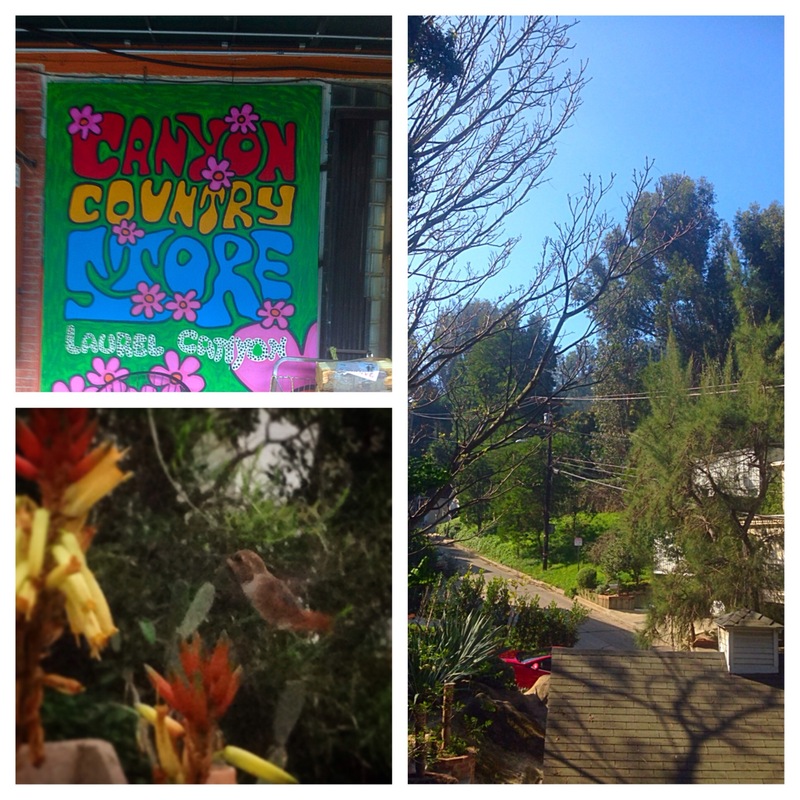 We stayed in Laurel Canyon, the legendary hideout of seventies rock stars, in a house once the residence of Neil Young. A few houses down the road was the site of Frank Zappa’s barn, the epicentre of the Canyon community. Right in the middle of the craziness known as Los Angeles these hills conceal an irregular labyrinth of country lanes. Dwellings catering for hippies, the hip and the downright rich nestle together in leafy communion. Just down Laurel Canyon Boulevard, past the Canyon Country Store lies Sunset Strip with all its distractions, and beyond, the clogged arteries of the city bloated with high performance vehicles and the almost tangible aspirations of ten million would-be artists. But in the cocoon of the Canyon “our house was a very, very, fine house” with a stone cat in the yard and a visiting hummingbird, simultaneously at one with nature and the stream of rock consciousness that once flowed here.